The Center for Biological Diversity has announced it will present its fourth annual E.O. Wilson Award for Outstanding Science in Biodiversity Conservation to Sweet Briar research professor Lincoln Brower for six decades of work studying and protecting monarch butterflies. The ceremony will take place at 1:30 p.m. Friday, Dec. 2, in the 1948 Theater at the Fitness and Athletics Center. The public is welcome. “We’re delighted to present this award to Dr. Brower for his outspoken love for, and life’s work to protect, the monarch butterfly,” Kierán Suckling, executive director of the center, said in a press release. Monarch butterflies flutter around Lincoln Brower at their overwintering grounds in Mexico. Brower, a research professor of biology at Sweet Briar since 1997, has spent 60 years conducting field expeditions and lab explorations to understand the biology of the monarch butterfly — including its extraordinary annual migration across North America. He has authored or coauthored more than 200 scientific papers, eight films, and edited two books. For two decades, his work also has provided research opportunities for Sweet Briar students, exposing them not only to the rigors of field and laboratory exploration but to the scientist’s role as a communicator. Educating the public and advocating conservation of the species and its habitats lie at the heart of much of his work. “I feel keeping it on the front page is really important,” he said in a 2013 interview for the Sweet Briar College Magazine. 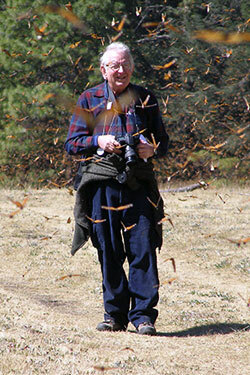 Brower has done dozens of interviews, including one on NPR’s “Science Friday” in 2013, when he discussed reaching people to create a “constituency who are going to stand up for all wildlife.” The monarch is an excellent teaching tool, he explained, because its migration is such a beautiful and captivating phenomenon. “To me, the monarch is a treasure like a great piece of art. We really need to develop a cultural appreciation of wildlife that’s equivalent to art and music and so forth,” he said. According to the Center for Biological Diversity’s news release, the E.O. Wilson Award is presented annually to a scientist who has made an outstanding contribution to conservation. It is named for Edward O. Wilson, the longtime Harvard University naturalist known as “the father of biodiversity.” The world’s leading authority on ants, Wilson’s career also “focused on promoting worldwide understanding of the importance of biodiversity and the preservation of our biological heritage,” the release said. 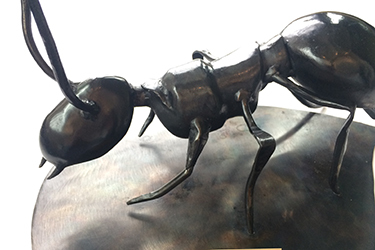 The E.O Wilson Award consists of a handcrafted metal ant sculpture by Anne Bujold of Riveted Rabbit Studio in Richmond, Va., and a $1,000 cash prize. Commenting on the award, Wilson alluded to both the breadth and impact of Brower’s work. “Thanks to Dr. Brower’s remarkable body of research, we not only have a deeper understanding of the monarch’s magical annual journey across North America, but a much better shot at safeguarding it for future generations,” he said. In 2014, Brower joined the center, along with the Center for Food Safety and the Xerces Society for Invertebrate Conservation, in submitting a scientific petition to the U.S. Fish and Wildlife Service seeking Endangered Species Act protection for the monarch. The agency must decide by 2019 whether to protect the monarch as a threatened species, the release said. Upon learning of the award, Brower offered thanks to those who made it possible. 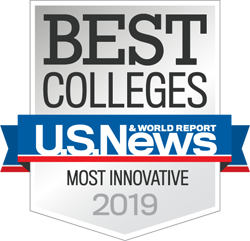 “I am extremely gratified to have been given this wonderful reward and wish to thank the many colleagues who have helped me in the lifelong endeavors that led to this lovely moment,” he said. The Center for Biological Diversity is a national nonprofit conservation organization with more than 1.1 million members and online activists dedicated to the protection of endangered species and wild places. For more information about the award, please contact Tierra Curry at tcurry@biologicaldiversity.org or (928) 522-3681.